Psychological theories of abnormality focus on the individual's psychological processes, including thought patterns, belief systems, and experiences in early life. The main theories that make up psychological approaches to abnormality include psychodynamic theories, behavioural theories, cognitive theories, and humanistic and existential theories. Psychodynamic theories focus primarily on the idea the unconscious processes are the driving force behind all behaviour, thoughts, and emotions, and that abnormality in any of these areas is the cause of these unconscious processes. 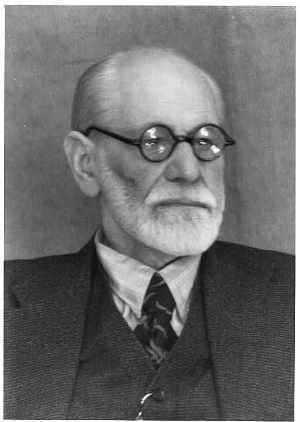 Sigmund Freud can be considered the founding father of psychodynamic theories with his psychoanalysis concept. Theories related to behaviourism describe behaviour as being the result of learning after reinforcements and punishments. Some methods of this learning develop through classical conditioning, operant conditioning, modelling, and observational learning, with theorists such as Ivan Pavlov and E. L. Thorndike the main proponents involved. Cognitive theories of abnormality consist of how individuals interpret and give meaning to their experiences. These mainly consist of causal attributions, control beliefs, and dysfunctional assumptions. For instance, if an individual sees something bad happening to them as a result of them being a horrible person (causal attribution), then they may be more prone to depression. Lastly, humanistic and existential theories involve the individual within society. The ways in which society constrains and burdens people with stress is seen as the driving force behind mental illness due to the fact that it's hypothesized that people will be overwhelmed with their inability to fulfill their desires. Psychodynamic theories focus primarily on the idea the unconscious processes are the driving force behind all behaviour, thoughts, and emotions. Theories related to behaviourism describe behaviour as being the result of learning after reinforcements and punishments. Cognitive theories of abnormality consist of how individuals interpret and give meaning to their experiences. Humanistic and existential theories involve the individual within society and the effects of the burden and constraints society places on people. Define monadic, dyadic and triadic models. Does any have advantages over the other models of therapeutic concepts? Need some evidence/documentation to back up my statement. It seems to me that Individuals who have psychological disorders seem to be more dangerous if placed in a situation of nonconformity. Thoughts or opinions or examples welcome. Is criminal behavior learned, genetic, or biological? Are criminals born evil? Freud and Rogers' theories of personality and psychotherapy continue to produce controversy by many in the field. Compare and contrast the main principles and components within each theory and provide an analysis of their strengths and weakness. Using the fictional character Frodo Baggins (from the movie Lord of the Rings), describe his character/personality using Carl Roger's Humanistic Theory, and again using B.F. Skinner's Behaviorist Theory. Counseling Psychology - which therapy is better and why? Counselling psychology is predicated in large part on a belief in the possibilities for change through learning. And so learning theory and Cognitive Behavior Therapy (CBT), which is founded on learning, are much emphasized. Which theoretical perspective(s) do you particularly gravitate toward & why? 1. Compare and contrast the psychoanalytic viewpoint and the humanistic viewpoint. Which one appeals to you more and Why? "Thanks, you are my favorite "
"Super job again! Fast, detailed, very helpful!" "Another superb job reflecting swift and thorough work!"